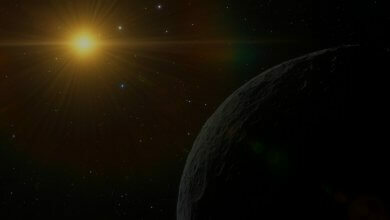 As one begins to learn in depth about astrology qualities, become an absolute necessity to know about. 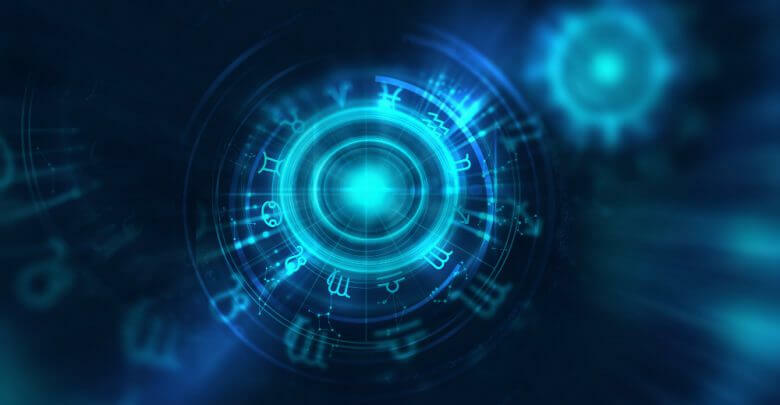 Coupled with all the other things that form the foundation on the basis of astrology information, zodiac qualities lie high up along the ranks of zodiac signs, the planets, as well as the houses. As astrology answers, there are a total of three zodiac qualities. These are respectively known as the cardinal quality, the fixed quality, and the mutable quality. We will go on and discuss these in detail as the article progresses. 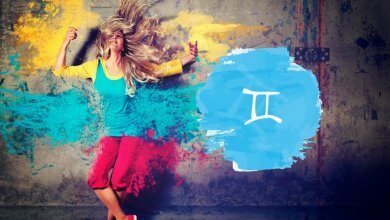 For now, however, let us stick to knowing about these qualities of zodiac signs in general. Just as each foundation stone of astrology has multiple sub-branches, like twelve houses, four elements, the qualities in astrology are also three, as mentioned above, that form a part of the zodiacal circle. Each quality further is entitled to four signs of its own, each one assigned to a separate quadrant of the zodiac. What is interesting about these zodiac qualities is that each one only specifically combines with only one sign of each element. For instance, out of the three zodiac signs that the element of fire represents, only one will possess a certain quality, and the other two will have a unique quality of their own. 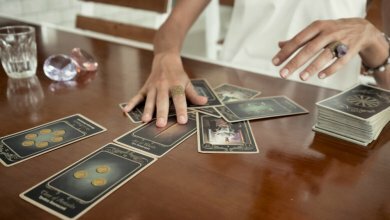 This helps us understand that even though an element binds three zodiac signs to be somewhat connected in their overall behavior, personality and life outcomes, the way these people handle any situation is again entirely different and leads to a very complicated and diverse set of outcomes for everyone living in this universe. Having known the basics about what these qualities definitions are and how they affect the astrology answers that any astrologer seeks, let us move on to a little more detail about these zodiac qualities before discussing each one separately and in detail. It is also important to note that two signs that oppose each other through opposing elements, such as fire against water, or earth against air, have the same qualities. This even goes on to suggest an uncanny resemblance with the laws of science which state that unlike poles attract. This calls for an observation that states that opposing signs often have a higher likelihood of having the intellectual and emotional capability as compared to two people belonging to similar signs or elements. It is also important to realize the power of three, which is a constantly recurring number with there being three qualities, and three signs in each zodiac quadrant. As discussed before, each quality tends to be favorable to one zodiac sign within each of the four elements. To emphasize this, we will go piece by piece on how each quality affects every single one of the zodiac signs it belongs to. The Cardinal Quality, as the name would suggest, perhaps is the most important one among the rest. It has been specifically tasked with taking charge of everything that is budding in life. Let us look at it from a philosophical point of view. What has been the primary wish of man since his inception? To find purpose, a way of life. And to do that, one either needs a change in direction or a fresh start, after quitting what he has been doing that does not achieve spiritual peace. Just as all of our lives are connected through the stars, their directions while being governed by the movement of the stars also depend on this very cardinal quality. The four zodiac signs that come under the shadow of the cardinal quality, giving the people associated with them great capabilities are Aries, Libra, Capricorn, and Cancer. Let us now look one by one at how each of these signs gets affected by the cardinal quality. Of the four elements, Aries belongs to fire, bringing with it certain energy and passion that lets it harness its capabilities and use them to their full potential. While Aries have their strengths, it is their weaknesses that are helped overcome by the qualities that they possess. As the legend goes, with the great amount of energy that any fire person like Aries would have, they tend to move with great force towards their target with clear aims in their heads. However, at times a blockage like a wall may come in the way, and no matter how much an Aries tries, they might seem unable to take charge of it. In such situations, the cardinal quality comes in, to help the person change direction and find a way around the obstacle instead of trying to break through it. Belonging to water, a cancer person has that ability to be compassionate. The cardinal quality plays a very pivotal role in helping them find their footing in a world that sometimes seems too small for their compassionate and soft behavior. Cancer always tends to find a way to be nice and careful of others’ emotions in their dealings. However, there is only so much a person can do. The cardinal quality comes into play when the person can take no more and helps them find interest in something new to keep their compassion running. Belonging to the element of air, a Libra always tries to seek a middle ground in all the dealings that it goes through in its life. While this is an attempt at peace-keeping at the part of the Libra person, it is often perceived as being untrustworthy and indecisive by the rest of the world. The cardinal quality comes into play here as any decision that is once taken by a Libra; it cannot be reversed by any force in the world. While it may look impulsive, it does indeed help build character by taking a decision and then sticking to it, aiming towards taking responsibility for one’s actions. As opposed to Libra, Capricorn tends to be a sign that takes decisions with an iron fist. Just like the element of earth they represent, their personalities are also rock solid. The cardinal quality tends to affect a Capricorn by making them more open, more public, and more accepting of the other people’s views. This helps the Capricorns to truly clear their minds of everything and look openly at what life offers. It has always been the law of nature to restore balance to the unbalanced and to bring order to the disordered. This is just how the universe works. The Fixed Quality is a clear advocate of that. Since the zodiac calendar moves along with seasons, the mid-time of any season where it is the most set and calm, as much of a season as it could be, just like the hottest in summer, is what the fixed quality does. It brings things to a fixed state! The sign of the bull sees the fixed quality as its representative from the element of earth. With the earthlings already notorious for their stubborn, immovable moods, it is perhaps the least affected of all the signs that fall under the fixed quality. Moreover, looking at the bright side, Taurus perhaps takes the most advantage of the fixed quality as it two positives make it accelerate even further in the direction it has set out for. Coming from the element of fire, Leos possess great energy and conviction. Thinking of its fixed quality, Leo has only energy and making it a fixed part of the regime makes it not only shine out in utterly blinding light but also to keep it steady for a long time to come. Belonging to water, there may be many contradictions at hand here. As we would see in nature, water tends to flow, to represent change and finding newer horizons every day. However, it’s landing in the fixed quality zone puts a little bit of confusion as change is never synonymous with settling down. Interestingly enough, this is solved by the fact that this constant change is the struggle to find the right permanence. See more about Scorpio zodiac sign. Last comes Aquarius, belonging to the element of air, and possessing the fixed quality. Of all the zodiac qualities, this case is probably the most difficult to understand and justify. Just as one sees air behaving in nature, it either tends to go along for long distances or stay as a whirlwind in the same place for long times. Both of these cases represent permanence in the form of the idea that air is determined and focused on only one goal at a time. Astrologers take this phenomenon to be the reason behind how Aquarians can handle huge amounts of stress while staying calm and well within their limits of reasoning. While a majority of other signs break and give in, Aquarians tend to stay calm and composed come what may. Greatly relating to people born on the cusp, the mutable quality represents the middle ground between change and a fixed state. It all begins to make a little sense now as pieces fall together, with the cardinal and fixed qualities being two extremes, and the mutable quality being the middle ground. For the signs that are done with the direction their life is headed in and are actively trying to settle into a newer fixed phase, mutable quality does the trick. Belonging to the element of air, Gemini is a clear advocate of change. This can be observed by the simple fact about how air acts in nature. The constant struggle of flying into all kinds of places represents a constant struggle towards change and exploring newer places. The mutable quality fits in just perfectly over here. Although very rigidly stuck to their principles as they belong to the element of earth, the will to change does not completely die in these people. Virgos tend to be very religious about how their life goes on, the mutable quality does exist because of the sign falling in a season when cold is about to arrive and summer has just left, leaving a greater desire towards a fixed permanence. 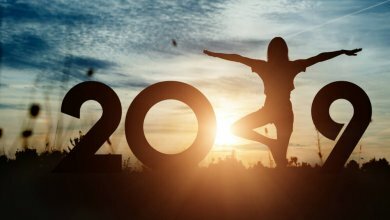 As you may have realized by now, the mutable quality is more affected by the time of the calendar as compared to affect the personalities of the people that fall into place in these dates. Quite similarly, the people belonging to Sagittarius are born in fall, which announces the arrival of strict winters, again being a middle ground. With the additional task of representing fire and its energies, a Sagittarius envisions to push through the dark winters to the spring up ahead. As the last sign representing the mutable quality, Pisces embodies the change in waters, belonging to the element of water itself. Pisces represents the simplest transformation in the history of the universe. It being a constant struggle in their regular lives too, just like finding order in chaos, the people of Pisces tend to push forward with the aid of their mutable quality to go past the darkness in their life towards life. The role of the mutable quality over here is very simple: help a person locate the change that their life needs in their struggle and then help them find a path to achieve that target.